Not a very clear picture but nonetheless, this was my one and only sighting of lam nongmangkha – the cousin of orange blooms of nongmankha which I had posted earlier. I should mention that it might not be rare but that I am in fact a lazy explorer of plants. This was captured at Ita Fort, Arunachal Pradesh. These lovely deep red lilies bloom around the month of April in the northeast part of India as the climes turn warmer into a colorful spring. 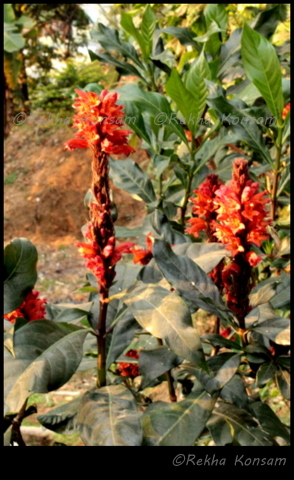 It is called modollei in Manipuri but because it generally blooms in April, it is also nicknamed the April Fool flower.